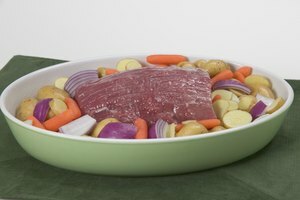 Potting a roast is a moist cooking method for tougher cuts of beef. The meat is first seared and then braised for several hours in a liquid, such as broth. 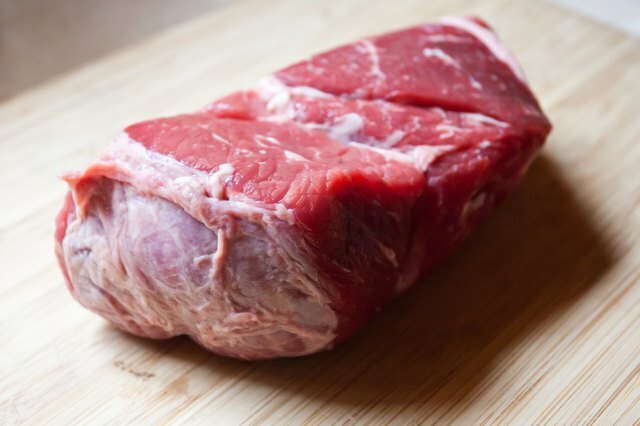 The best cuts of meat for pot roast are lean and contain a lot of connective tissue. 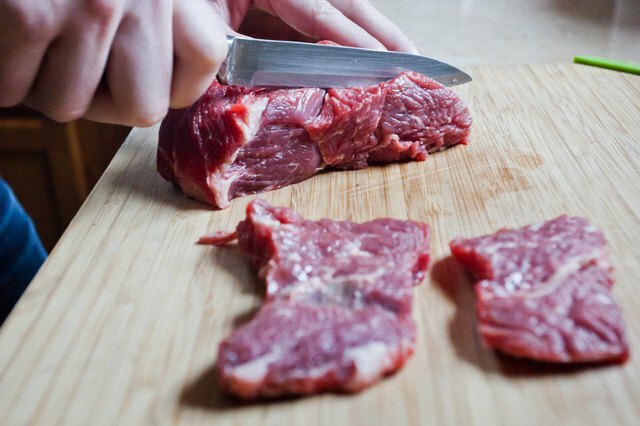 These cuts cannot be cooked as well using a dry cooking method, such as grilling, because they do not have the required fat marbling to keep the meat moist. Chuck is sometimes called English roast. Chuck is cut from the cow's shoulder and neck, and is flavorful and full of tough connective tissue (collagen). 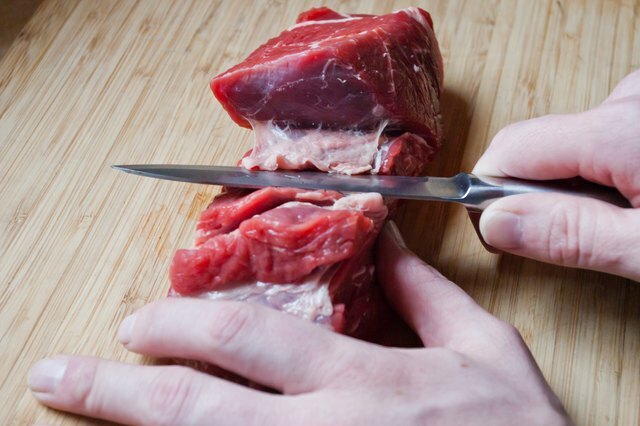 As the meat cooks over low heat, the connective tissue breaks down into gelatin, moistening the meat the way that marbled fat would for other cuts. Chuck is a very economical cut of meat, but can be fatty and tough if not cooked properly. A rump roast is cut from the back of the cow. 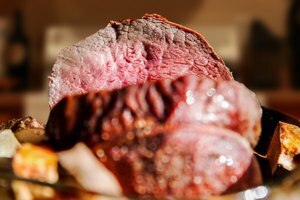 Higher-quality rump roasts (rated "prime" or "choice") will tolerate a dry cooking method without getting tough, unlike chuck. Lower-quality rump roasts are a good choice for pot roast. Instead of braising it on the stove, place the seared roast in a covered heavy skillet with a small amount of beef stock and roast it in a 300 degree oven for about an hour per pound. Arm roast, also called round bone pot roast, is close to chuck but somewhat more tender. 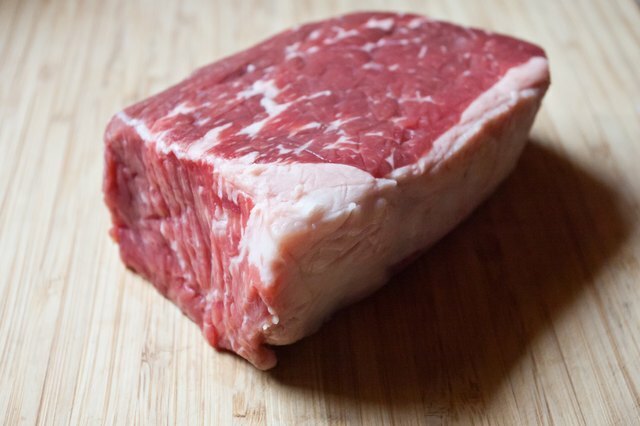 It is cut from the chuck primal (a large cut that is divided into smaller portions). Like chuck and rump roast, it can't handle dry cooking methods, but is great for pot roasts and stews. Cut into thin steaks and tenderized, it is known as Swiss steak or cubed steak; breaded, fried and served with gravy, this is known as chicken fried steak or country fried steak. A top blade pot roast is more tender than the under blade pot roast, two cuts from between the cow's ribs and shoulder blades. 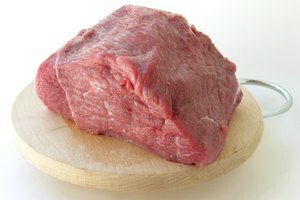 Some people find it tender enough to use a dry cooking method, but since it contains a good amount of connective tissue it is a good candidate for pot roast. Top blade roasts have a horizontal line of gristle running through them, which you should remove before serving. 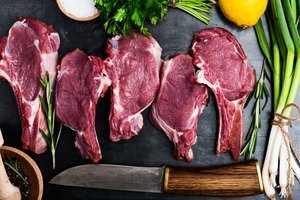 The New Cook: What is Beef Chuck?